This Jan. 24, 2018, file photo shows a shopping cart in the parking lot at a Toys R Us store in Highland Park, Illinois. Toys R Us is considering liquidating its operations in the United States, sources told CNBC. But the situation remains fluid, according to one of the sources. 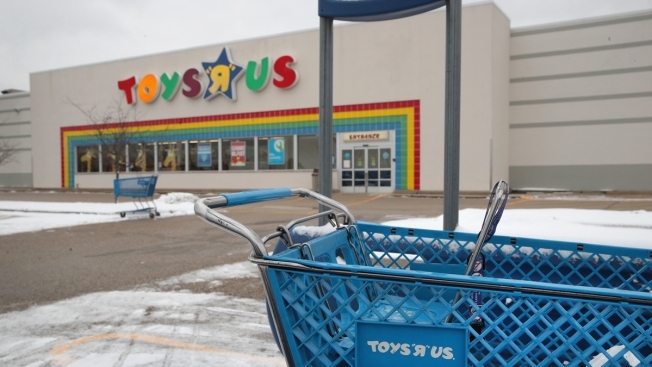 In September, the popular toy retailer filed for bankruptcy with nearly $5 billion in debt. It announced in Janurary plans to close up to 182 stores by mid-April as part of its bankruptcy reorganization plans. But in February, after a disappointing holiday season, CNBC reported that it was at risk of breaching the covenant on a $3.1 billion loan.